There is a Stay Play Explore short break to suit all ages and families. Our Stay Play Explore short breaks start at £149. With fascinating attractions and places to explore a Stay Play Explore is a great value short break. Additional child tickets and additional nights are available for our family breaks and these can be purchased by your friends and family at the time of redeeming the voucher. See www.stayplayexplore.co.uk for full details of our short breaks. This voucher can be redeemed against any Stay Play Explore Short Break which includes overnight accommodation with breakfast plus tickets for admission to a number of visitor attractions or experiences. Confirmation of purchase of gift voucher includes a link to download your voucher to hand over to recipient. The recipient will use the unique number on the voucher to book a Stay Play Explore short break for the value of the voucher. Further payment may be required for additional tickets and services bought as part of your short break. There are no refunds if the recipient uses the voucher against a lesser value short break. 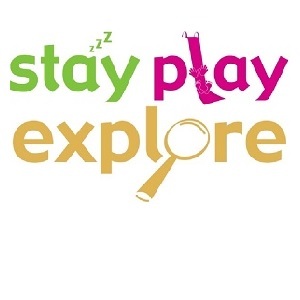 See www.stayplayexplore.co.uk for full terms and conditions and information about the Stay Play Explore Short Breaks.